Originally published in the Shakespeare Bulletin: A Journal of Performance Criticism and Scholarship 24. 2 (Summer 2006): 31-47. Can we not suggest […] that the autobiographical project may itself produce and determine the life and that whatever the writer does is in fact […] determined by the resources of the medium? The idea that Shakespeare belongs to the world has become a cliché. When examining the global and “worldly” Shakespeare, instead of focusing on cultural and national appropriations, we must now ask: does Shakespeare also belong to the individual readers, actors, directors, re-writers? 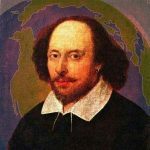 Can Shakespeare be linked to the personal, the autobiographical mode of interpretation, and the local modes of reading? How might an actor’s performative, autobiographical readings contribute to the epistemological formations of “Shakespeare” and adjust the storied biographies of the actor and Shakespeare’s characters on- and offstage? How does the medium contribute to and limit autobiographical performances of Shakespeare? With a case study of Wu Hsing-kuo’s solo adaptation of King Lear, Lear Is Here,[i] one of many recent Asian adaptations of Shakespeare that are informed by performative auto/biographies, this paper addresses these questions by rethinking the problematic status of “foreignness” and locality in the age of globalization. Rather than faulting cultural imperialism or foregrounding political statements, I argue that Wu’s performance employs an artistic strategy that prioritizes the performer’s subjectivity and thereby reconfigures a globally articulated locality (Asian “Shakespeare”) in personal and autobiographical terms. Throughout this essay, autobiographical representation refers to the performers’ biographies, not Shakespeare’s. The significance of Wu’s adaptation is twofold. It posits the possibility of apolitical Shakespearean appropriation in a postcolonial and globalized Asia, and also foregrounds the relationship between performative subjectivity (the private self) and literary universalism (the public biographies of characters). Despite increasing attention in recent years to multifaceted auto/biographical practices, and despite many artists’ intuitive understanding of the necessary process of splitting the “autobiographical self into many selves,” the auto/biographical aspect of stage performance has not been as thoroughly studied as auto/biographies in book form (Grace 65). While these issues of Shakespearean appropriations remain inadequately theorized and studied in a comparative context, the recent turn to locality in Shakespeare and performance studies provides a promising point of departure. One case study certainly cannot generate a typology, but it is a step towards a theory of autobiographical interventions in Shakespearean performance. In the past years, the locality of Shakespearean performances has come to the forefront of critical attention. Martin Orkin, in his 2005 book, Local Shakespeares, asserts that the knowledge that “readers who are situated in locations outside the scholarly Shakespeare metropolis might bring to the text [is …] worth exploring so long as the global reach of the Shakespeare text continues” (3). By “local,” Orkin means what is “epistemologically current” within each reader’s culture (2). This point is illuminated by Ali Farka Toure’s comments foregrounding the relativity of locality: “For some people, when you say ‘Timbuktu’ it is like the end of the world, but that is not true. I am from Timbuktu, and I can tell you we are right at the heart of the world” (qtd. in Loomba 143). Since global and local are correlative terms, global Shakespearean performances can also be understood in local and personal terms. In fact, global Shakespeares have always been local and personal ones, embodying what Theseus in A Midsummer Night’s Dream calls a “local habitation.” In her afterword to the 2005 collection, World-wide Shakespeare, Barbara Hodgdon invites her readers to “undertake a more precise measurement of the continuities and discontinuities” among past and present local readings of Shakespeare. She borrows the realtor’s mantra, “location, location, location,” to highlight the need to redraw Shakespeare’s “cultural coordinates” (159). I would add that the personal habitation is as significant as local habitation in the epistemological formations of Shakespeare. However, scholarship on global Shakespeare and cross-cultural appropriation has focused on the political implications of staging foreign dramas. In recent studies, Shakespeare’s increasingly global presence has been investigated from various perspectives of critical inquiry, especially postcolonial theories and East-West literary relations. Xiaomei Chen argues that Shakespeare plays the role of a “counter Other” in mainland China’s Occidentalist theatre in the post-Mao era (43-58). Jyotsna Singh draws our attention to the cultural imperialism that has been incorporated into—and simultaneously resisted by—productions of Shakespeare in India (446). Commenting on Carmelo Bene’s 1979 adaptation, Richard III, ou l’horrible nuit d’un homme de guerre [Richard III, or The Terrifying Night of a Man of War], Gilles Deleuze champions the political dimension of adaptation that reconfigures the hierarchy in artistic creation (87-131). Taking one step further, André Lefevere argues that since literature is bound to be used politically, all types of literary adaptation are powerful weapons in the struggle against hegemonic ideologies (217; 234). On the other hand, Harold Bloom develops the notion of literary universalism and argues that the adaptability of Shakespeare can be taken as evidence of Shakespeare’s universality and intrinsic artistic merits (420). Understandably, the majority of critical responses to the perplexing case of Shakespeare’s “worldly” afterlife focus on the two most prevalent modes in which “Shakespeare” has been disseminated around the world: the nationalist and the (post)colonial appropriations. [ii] Yet the all-encompassing category of “nation” to which such approaches appeal begs the question of the identity of those re-writers and performers who contribute to the formation of the nation-state and various national Shakespeares. I do not plan to revisit what Michael Bristol has called “big-time Shakespeare.” The term refers to the institutionalization and appropriations of Shakespeare by large corporations and cultural institutions such as David Garrick’s famous project in 1769, the Shakespeare Jubilee, that jumpstarted the Shakespeare industry. In Asia analogous “big time” enterprises might be seen in the two government-subsidized Chinese Shakespeare festivals of 1986 and 1994. Instead of “big-time Shakespeare,” it is the personal, the local, or what might be called “small-time Shakespeare,” that I would like to examine, that is, individual engagements or re-framings of Shakespeare’s plays that reaffirm local reading positions. “Small-time” Shakespearean appropriations often have a personal urgency for their creators. Far from confirming a retrograde notion such as the universality of Shakespeare, this recent wave of dazzlingly fresh Asian interpretations for the stage attest rather to the creativity of imaginative directors willing to create new hybrids of dramatic spectacle by combining the personal with the fictional. These creators of “small-time” Shakespeare adaptations have superimposed their autobiographies onto Shakespeare’s characters and created “small-time,” solo Shakespeare performances. The success of the recent Experimental Solo Chinese Opera Festivals in Hong Kong (2001 and 2002) and Taipei (March, 2004), where several Shakespearean plays were presented, including Wu’s King Lear, is testament to the significance and increasing popularity of the emerging genre of solo Shakespeare. In recent years, this autobiographical strategy, one which eschues the national in favor of the marginal, has been employed by some Asian and, sporadically, Anglo-European performers in their engagement with Shakespeare. Gareth Armstrong explores anti-Semitism and the splitting of selves when he performs many characters in his solo performance, Shylock (directed by Frank Barrie). The production has received rave reviews at the Edinburgh Festival (1998-1999), and has toured Washington D.C. and San Francisco, among other cities. While Wu’s and Armstrong’s solo performances employ non-mainstream strategies, they have remained very popular and are still touring. In terms of actor training in the United States, solo performance is used as one of the pedagogical tools to help actors understand the relationship between the performing self and the characters. The National Theatre Conservatory of the Denver Center for the Performing Arts, for example, requires second-year students to complete a solo Shakespeare project that involves the intensive study of a character. In Asia, the filtering of Shakespeare’s plays in Asian trans-cultural theatres over several centuries has created a new model of localization that diffuses and sustains multiple origins of plot, artistic form, and social circumstances. The Japanese actor-star Mansai Nomura’s performance of Hamlet is an example of the visible intersection of the actor’s persona and his assigned character. Lee Kuo-Hsiu’s 1992 Shamlet, an autobiographical parody of Hamlet, is a similarly prominent example (Huang 122-137). The Singapore-based director Ong Keng Sen’s Shakespeare trilogy, comprised of Lear (1998), Desdemona (2000), and Search: Hamlet (2002), also demonstrates autobiographical traces and has been used by Ong to substantiate his claims to transcend both Occidentlism and the common self-Orientalizing tendency among Asian artists adapting Shakespeare. Autobiographical engagement with Shakespeare and the Western canon is not an isolated phenomenon. Since 2000, several notable Chinese solo performance productions that capitalized on the performers’ celebrity biographies have toured Asia, Australia, Europe, and America. Among these plays are Zhao Zhigang’s yueju [Shaoxing opera] solo performance of Hamlet in the Graveyard, Huang Hsiang-lian’s gezaixi [Taiwanese opera] solo performance of Romeo and Juliet, Li Xiaofeng’s qinqiang [opera from Northern China] solo performance of Goethe’s Faust, Tian Mansha’s chuanju [Szechuan opera] solo performance of Lady Macbeth, and Wu’s solo Lear is Here, which is by far the most innovative and most widely toured among this group. As its full title Li Er zai ci, Wu Hsing-kuo Meets Shakespeare suggests, this play is Wu’s autobiographical rendition of Shakespeare’s dramatization of a troubled relationship between father and child. The second part of the title should be accorded primacy: it is Wu who meets Shakespeare, and it is through such an encounter that Wu is able to negotiate multiple identities, especially that of Wu as a performer and that of his dead master. Act one, “The Play,” features the lonely Lear in the storm; act two, “Playing,” features the Fool, Earl of Kent, Lear, Goneril, Regan, Cordelia, the blinded Earl of Gloucester, Edmund, and the “mad” Edgar; act three, “A Player,” features Wu himself as a character. The play is a journey from the inner world of the lonely Lear, through a burst of multiple identities and characters, to the autobiographical, manifested by the lonely Wu Hsing-Kuo. It is a confrontation between Wu and Lear. The tension between father and child in King Lear is turned into an allegory about Wu’s uneasy relationship with his jingju master. Wu’s resistance to his dead master takes several forms. In the solo performance, Wu not only plays Lear, the wronged father, he also plays Regan, the unruly daughter; Edgar, the wronged son; and the blinded Gloucester (yet another father struggling with a troubled relationship with his son). In shifting between the characters of the daughter and the father, Wu dramatizes his resistance to the dominating father figure, while at the same time he imagines his master’s response by impersonating the father. Understated at times, the production is designed by Wu as a commentary on his apprenticeship and career in Beijing opera. Stylistically speaking, through cross-dressing and playing multiple characters in different role types, Wu issues a statement against his master’s classical training. Thematically, Lear Is Here dramatizes the confrontation between actors and Shakespeare’s characters. It does not mimic or deconstruct Shakespeare’s text, nor does it seek to represent that text onstage. The presence of the actor and his contemporary playwright—the same person in the case of this Lear—are accorded primacy. The repositioning of Shakespeare’s plays in autobiographical solo performances reasserts the value and authority of the local readers of a globally circulating text. Lear Is Here is representative of “small-time Shakespeare” because staging the play had a personal urgency for Wu, who was struggling with a multiplicity of theatrical, personal, cultural, and national identities. Unlike most directors at the landmark Shakespeare festivals in China (1986 and 1994), who were concerned more with political aspects than with aesthetic implications of dramatic appropriation, Wu conceived and spearheaded his project with very strong personal motives. This production does not follow the original plot of King Lear, but it striking renders the play’s preoccupation with fatherhood in expressly autobiographical terms. Unlike Wu’s previous adaptations of Macbeth and Hamlet, Lear Is Here turns Lear into a healing site through which Wu channels his anxieties about a dominating master/father figure in his career. By performing the ten characters, Wu is able to reconcile a range of conflicting identities, most notably that of himself as a disciple and that of his master as a surrogate father. The play is a montage of significant moments from King Lear, in fragmentary narratives, which revolves around a key passage in Shakespeare’s play to create an amalgam of its characters, including the actor himself. Are lethargied—Ha! Waking? ’tis not so. In this postmodern pastiche, which has reframed King Lear in fragments of emotion rather than adhering to the original plot, the sudden appearance of a line-by-line translated section indicates the importance of such a passage to the adaptation. The question “who am I?” is central to Wu’s play and to his playing with multiple identities, including those from the fictional world of Shakespeare’s play. Wu’s strategy for negotiating multiple identities is to blur the lines among them, especially those of the characters in the play, with those of the performer on the stage. Act one of Lear Is Here– the mad Lear in the storm–lasts nearly thirty minutes. Wu combines the choreographed steps of modern dance and the rhythm of postmodern theatre to represent a range of emotions from act three, scene two of King Lear. While in other acts of Lear Is Here, Wu combines monologues with stylized movements, in act one he relies solely on coded gestures and dance to “translate” the storm scene and Lear’s remorse, accentuated by Beijing opera percussion. Howling hurricane, rumbling thunder, and rage are represented by Wu through strides, minced steps, somersaults, and, most strikingly, his movement of the long Beijing opera beard and sleeves. (Looking at the beard in his hand) Who is he? (To audience) Does any one know him? (Looking at the beard again) This is not Lear. (Standing up) Then where is Lear? (Walking toward the left) Is this Lear walking? (Walking to the right) Is this Lear speaking? The speech here parallels Lear’s comments, triggered by Goneril’s cruelty, that were translated from act one, scene four of King Lear. As he speaks, Wu smears the Beijing opera facial pattern from his face, rubbing off the make-up, thus destroying both make-up and theatrical illusion in this onstage costume change. The audience is struck by the contrast between the king and the ordinary human being behind the characterization of a king. By addressing the costumes of Lear, Wu stages the king as two bodies, that of a fictional character and of a human performer representing that character, juxtaposed to reveal the performer in search of an identity. (Mixing the facial paint clockwise) Is he confused? (Mixing the facial paint counterclockwise) Is he numb? (Mixing the facial paint to his neck) Is he awake? (Slowly taking his hands off his face) Who can tell me who I am? The return Wu mentions here is an event with much symbolic weight. In 2001, two years after the disbanding of his theatre company Contemporary Legend Theatre, widely known for its successful adaptations of Hamlet and Macbeth, and the Greek dramas Oresteia, and Medea, Wu returned to the stage with the present highly experimental production, Lear Is Here. It signifies Wu’s and Contemporary Legend Theatre’s triumph over difficulties in finance and human resources. But why Shakespeare? Why King Lear? Why does Wu use a foreign play to initiate his reappearance on the Taiwanese stage? Wu chooses Lear because the play coincidentally manifests a psychological process with autobiographical resonances. However, one has to wonder why Wu does not choose a Chinese play or write one anew. Clearly Wu cannot completely avoid the charge that he is capitalizing on Shakespeare’s global stature. Beijing opera, in Taiwan as well as in mainland China, has suffered from the serious problem of an aging and shrinking audience. A Chinese play would not draw as much media attention and as large an audience, let alone touring opportunities. As a theatre artist, Wu is keenly aware of the economic burden of his (and his company’s) return to the stage. Box-office success or alternative forms of financial support have to be secured, and Wu knows that an innovative Chinese operatic Shakespeare will draw younger audiences. But practical considerations aside, the autobiographical notes in the program Lear is Here offer an interesting answer as to why wu chooses to adapt King Lear. In a section titled “I have no father, but masters,” Wu recalls the formative years of his training. The title is indeed an apt description of his career in Beijing opera. He was trained in the combatant male role type (wusheng) under the tutelage of Master Zhou Zhengrong. Wu lost his father in the civil war between the Communists and the Nationalists and thus took his master in the Taipei Fuxing Conservatory, who taught and disciplined him, as a father figure. Before the formal master/disciple relationship could be acknowledged, Wu kowtowed, kneeling in front of Master Zhou in accordance with the traditional ceremony of master-accepting-disciple. Service and piety are part of what makes a traditional Beijing opera apprentice’s relationship to his master parallel that between a son and his father. Wu served tea and brought hot towels to his master during rehearsals, and he knelt to pay respect to him on important occasions, like the master’s birthday. However, as Wu became an established performer and began to foster his own aesthetic program, conflicts with Master Zhou ensued. One day, when Master Zhou beat him again during a training session, Wu grabbed the stick and said reproachfully: “Master, I am already thirty years old, and I have enough motivation to perfect my skills. Is it really necessary to beat an apprentice when teaching acting techniques?” Master Zhou then refused to acknowledge Wu as his disciple, even until his death in June 2000, the same month that Wu staged Lear Is Here. A few days before Master Zhou’s death, Wu dreamed of fighting his master, and killing him with his bare hands. [vii] Believing that he shares many of Lear’s characteristics—rage, madness, arrogance, and capriciousness—Wu declares that a solo performance of an arrogant and self-centered Lear was the most apt announcement of Wu’s return to the Beijing opera stage. It is not difficult to see why Wu picked King Lear, though it is perhaps interesting that he not only played Lear, the wronged father, but also played Edgar, the wronged son; Regan, the unruly daughter; and the blinded Gloucester. Wu’s reaction to his master takes several forms. The onstage costume change was an instance of Wu’s resistance to old traditions represented by the father-master figure in his life, but Wu also cross-dressed as Regan. Shifting between the characters of the daughter and the father, Wu dramatized his resistance to the dominating father figure and, at the same time, imagined his master’s response by impersonating the father. Most importantly, through cross-dressing and playing multiple characters in different role types, Wu issued a statement against his master’s training. He is no longer a performer confined to the combatant male role type but a versatile actor who is able and willing to cross cultural and gender borders. Versatility and amalgamation are artistic breakthroughs and have become signs of resistance themselves. Lear Is Here consciously mobilizes cultural differences, not to serve larger national politics, but to reconcile personal identity crises. It epitomizes a paradigm shift within the Asian tradition of adapting Western works, from seeking authenticity to foregrounding artistic subjectivity in modes of cultural production that re-produce global texts. Understandably, scholarly attention has been directed toward Wu’s mastery of different expressive modes and his authority over Shakespeare’s foreign text, however much the issues of Shakespeare’s universality and cultural authenticity still dominate the critical discourses of intercultural performance—arguing for or against these categories. For example, Yong Li Lan acknowledges that “in juxtaposing Lear and Wu, the performative fictions of the iconic universal character [of Lear] and the […] actor were re-framed against each other.” She is quick to point out that at stake in this “double enactment” is not Wu’s “cultural identity” but his “cultural authority” (547). I believe that equally important but overlooked is the relationship between Shakespeare’s characters and modern actors enacting these characters, the autobiographical moments in Wu’s performance exemplifying the cross-fertilization brought forth by this relationship dynamically reconceived in personal terms. It is interesting to note that Asian-styled appropriations of Shakespeare’s plays share some features with what Stephen Greenblatt terms “appropriative mimesis” in cross-cultural encounters. In his study of the European encounters with the New World, Greenblatt identifies a cross-cultural strategy to domesticate the foreign by linguistic means. This kind of imitation, according to Greenblatt, is carried out “in the interest of acquisition” and does not “entail any grasp of the cultural reality of the other” (99). Inter-cultural directors like Wu are similarly uninterested in the Elizabethan field of reception, something which was either used only vaguely or was intentionally jettisoned. However, Lear Is Here ultimately departs from the European “appropriative mimesis” In that, contrary to Greenblatt’s European travelers who imitate only to possess the Other, the inter-cultural travelers in my study share no eagerness to acquire the Other. Images presented onstage of the Other are connected to images of the self, or, to be more precise, to the actors in search of identities. Let me return to the divergent agenda of “big-time” and “small-time” Shakespeares. Michael Bristol critiques the impersonal transactions in contemporary uses of Shakespeare that turn Shakespeare into “an article of commerce,” exchanged among people “who remain strangers to each other” (36). “Small-time” Shakespearean appropriations contain a very different dimension. In the performances of Lear Is Here, Shakespeare’s characters, the actors, and the audiences are no strangers to one another. In Wu’s hometown performance of Lear Is Here, for example, a majority of the audience knew about Wu’s identity crisis and cheered him through the performance as he announced, “I am back! I have returned to my profession!”[viii] Informed international audiences, including Ariane Mnouchkine (artistic director of Le Théâtre du Soleil), are also able to link Wu’s theatrical experiment to his vita and his personal motives (Chen, “Wu Hsing-kuo”; Chou 14). [ix] In a sense, audiences came for the transformation of Wu, not just the representation of Lear. By using his own persona as one of the ten characters he performs, and by superimposing the autobiography of his performing self onto the fictive biography of King Lear, Wu lays bare the tripartite composition of stage representations of characters, from the self, to the actor’s persona onstage, to the character’s psyche. Lear Is Here is a diachronic adaptation of Shakespeare that underlines the fact that the performer and his audiences exist in the present. [x] The “past” represented by Shakespearean plays becomes an allegorical frame of reference for the “present” of the realities surrounding modern audiences. However, unlike institutional or political Shakespearean productions, “small-time” Shakespearean performances concentrate on the personal urgency of their creators rather than political exigencies. Most certainly these personal motivations can be political, but they shape the performances in different ways. The grand narrative of “East” meets “West” in pre-1990 Chinese trans-cultural performances is replaced by an account of the living, contemporary Chinese directors’ personal engagements with Shakespeare, the dead, premodern “master.” Equally important is the dramatization of the actors’ personal engagements with Shakespeare’s fictional characters. Similarly, the previously fashionable yet elusive categories such as “Asia” and the “West” are replaced by new categories such as “I” and “Shakespeare.” Lear Is Here fuses the biographies of fictional characters and the performer through nonverbal codes. As “Asia” occupies a transitional, multiply determined space in the twenty-first century, the differing faces of Asian Shakespeare signal the arrival of multiple forms to engage a global text and local consciousness in the new Asia and the new, personal, Shakespeares that are in formation. Armstrong, Gareth. Shylock. London: The Player’s Account, 1999. Bloom, Harold. Shakespeare: the Invention of the Human. New York: Riverhead, 1998. Bristol, Michael D. Big-time Shakespeare. London: Routledge, 1996. Chen, Shih-Shih. “Wu Hsing-kuo Brings King Lear to Chinese Opera in One-man Show.” Taiwan News, 6 July 2001. Chen, Xiaomei. Occidentalism: A Theory of Counter-Discourse in Post-Mao China. 2nd ed. Lanham: Rowman & Littlefield, 2002. Chou, Mei-hui. “Faguo Yangguang jutuan chuangban ren fang Tai [Ariane Mnouchkine, Founder of Le Théâtre du Soleil, Visits Taiwan to Attend Wu Hsing-kuo’s Lear Is Here].” Lianhe bao [United Daily, Taipei] 31 August, 2001. Deleuze, Gilles. “Un Manifeste de Moins.” Superpositions. Carmelo Bene and Gilles Deleuze. Paris: Les Éditions de Minuit, 1979. 85-131. Desmet, Christy. Introduction. Shakespeare and Appropriation. Ed. Christy Desmet and Robert Sawyer. London: Routledge, 1999. Diamond, Catherine. “The Role of Cross-Cultural Adaptation in the “Little Theatre” Movement in Taiwan.” Diss., U of Washington, 1993. Grace, Sherrill. “Performing the Auto/biographical Pact: Towards a Theory of Identity in Performance.” Tracing the Autobiographical. Ed. Marlene Kadar et al. Waterloo, Ontario, Cananda: Wilfrid Laurier UP, 2005. 65-79. Greenblatt, Stephen. Marvellous Possessions: The Wonder of the New World. Chicago: U of Chicago P, 1991. Hodgdon, Barbara. Afterword. World-wide Shakespeare: Local Appropriations in Film and Performance. Ed. Sonia Massai. London: Routledge, 2005. —. The Shakespeare Trade: Performance and Appropriations. Philadelphia: U of Pennsylvania P, 1998. Huang, Alexa “Impersonation, Autobiography, and Cross-Cultural Adaptation: Lee Kuo-Hsiu’s Shamlet,” Asian Theatre Journal 22.1 (Spring 2005): 122-137. Lefevere, Andre. “Why Waste Our Time on Rewrites? The Trouble with Intrepretation and the Role of Rewriting in an Alternative Paradigm,” The Manipulation of Literature: Studies in Literary Translation Ed. T. Hermans.London: Croom Helm, 1983. Loomba, Ania. “‘Local-manufacture made-in-India Othello fellows’: Issues of Race, Hybridity and Location in Post-Colonial Shakespeares.” Post-Colonial Shakespeares. Ed. Ania Loomba and Martin Orkin. London: Routledge, 1998. Shakespeare, William. The Riverside Shakespeare Second Edition. Ed. G. Blakemore Evans et al. Boston: Houghton Mifflin Company, 1997. Singh, Jyotsna. “Different Shakespeares: The Bard in Colonial/Post-Colonial India.” Theatre Journal 41.4 (1989): 445-58. Taylor, Gary. “Afterword: The Incredible Shrinking Bard,” Shakespeare and Appropriation. Ed. Christy Desmet and Robert Sawyer. London: Routledge, 1999. Yong, Li Lan. “Shakespeare and the Fiction of the Intercultural.” A Companion to Shakespeare and Performance. Ed. Barbara Hodgdon and W. B. Worthen. Oxford: Blackwell, 2005. [i] Staged in an experimental jingju [Beijing opera] style, Li Er zai ci [Lear Is Here] (2001) was conceived, directed, and performed by Wu Hsing-kuo, Dangdai chuanqi [The Contemporary Legend Theatre] of Taiwan (Paris and New York, 2000; Taipei, 2001; Japan, Singapore, Macau, Seoul, 2002-2003; London and Hong Kong, 2003; Taipei, 2004; “China – Zwischen Vergangenheit und Zukunft” Festival, Haus der Kulturen der Welt, Berlin, March 24-25, 2006). Producer: Lin Hsiu-wei; dramaturg: Lee Li-heng; costume design by Tim Yap; stage design by Chang Ho-chin; lighting design by Tommy Wong; music composed by Yi-chin Lee. I follow the East Asian convention of putting family name first. The pinyin romanization method is used unless the proper name is widely known in a different form. [ii] Michael Dobson’s The Making of the National Poet: Shakespeare, Adaptation, and Authorship, 1660–1769 (Oxford: Clarendon, 1992) is a history of the development of the British Shakespeare industry; Thomas Cartelli’s Repositioning Shakespeare: National Formations, Postcolonial Appropriations (London: Routledge, 1999) analyzes repositionings of Shakespeare and the inventory of postcolonial appropriative modes in the United States and beyond; Gary Taylor’s Reinventing Shakespeare: A Cultural History from the Restoration to the Present (New York: Oxford UP, 1989) studies “the mechanisms of cultural renown” (back cover) and what Taylor calls “Shakesperotics,” that is “everything that a society does in the name … of Shakespeare” (6); Talking Shakespeare: Shakespeare into the Millennium, ed. Deborah Cartmell and Michael Scott (New York: Palgrave, 2001), focuses on the reciprocal relationship between past and present productions and the way in which Shakespeare becomes “all talk;” Shakespeare and National Culture, ed. John J. Joughin (Manchester, England: Manchester UP, 1997), surveys the role of Shakespearean appropriations and criticism in trans/nationalism. [iii] The role types in Lear Is Here include a wide sampling of the traditional character types found in Beijing opera: laosheng (old male role), wusheng (combatant male role), huadan (vivacious and animated female role), qingyi (singing female role), chousheng (male clown), guimendan (noble or aristocratic young female role), xiaosheng (young male), jing (vigorous male role), and mo (supporting male role). Most of the changes in role types occur in act 2. Wu performs Lear in the laosheng (old male) role type in act 1, and nine characters (in their respective role types) in act 2. The performing style of act 3 aligns itself with postmodern speech drama; the only character is Wu himself (the performer as a character), who circles the stage without any Beijing opera facial pattern or movement. [iv] All quotations of Shakespeare not otherwise attributed in this essay follow The Riverside Shakespeare Second Edition, ed. G. Blakemore Evans et. al. (Boston: Houghton Mifflin Company, 1997). [vii] Li Er zai ci program notes (Taipei version), n. pag. English translation mine. [viii] Lear Is Here, act 1. I am curious about what kind of extraordinary culture could cultivate an outstanding artist troupe such as Taiwan’s Contemporary Legend Theatre. All these years, Theatre du Soleil has been experimenting a theatre form that could encompass all art elements. What we have been pursuing I see that it has been achieved by the CLT. From the CLT, I see the dream of the theatre of the world. [x] Cf. Diamond’s analysis of Chinese adaptations of Shakespeare. Catherine Diamond, The Role of Cross-Cultural Adaptation in the “Little Theatre” Movement in Taiwan, diss., U of Washington, 1993, 121-123.